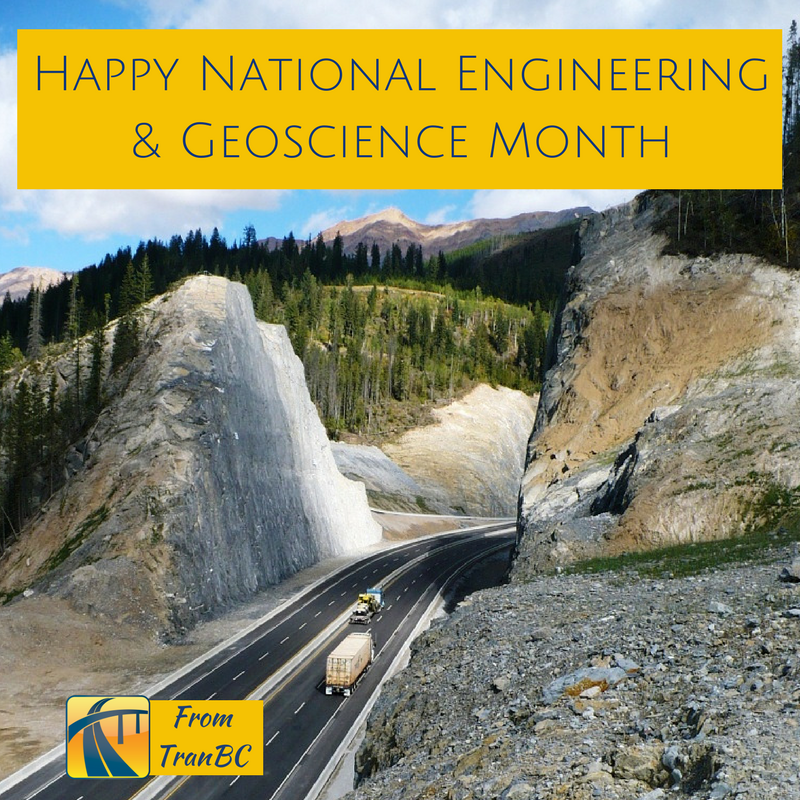 In Canada, we celebrate National Engineering and Geoscience Month in March, highlighting the importance of engineering as a career and its impact on our daily lives. Engineering is such a HUGE part of what we do at the Ministry of Transportation and Infrastructure. From wildlife overpasses to Port Mann cable collars to rip rap to speed limits, it’s all covered with an engineering expertise. To showcase some of the work we do, we collected some of our most popular blogs on engineering. These are the stories you liked and came back to, so who are we to argue? For more than 150 years, the Hagwilget Bridge near Hazelton has evolved from planks and cedar ropes to steel and concrete. Take a look at the progress from then ‘til now, and a little history lesson, too. We drive around our beautiful province but sometimes don’t get to see some of the coolest infrastructure around. Here are four of our favourite unseen engineering feats, on or near BC highways. A bridge is a bridge is a bridge…which couldn’t be less true. There are so many different types. Because British Columbia is so geographically diverse and because bridge engineering evolves over time, you will see a variety of bridge types being used in BC. Here are six. What would it be like to hit the highways more than 50 years ago? We can actually answer that question with our 16 mm photolog footage. We’ve shared a few in our BC Road Trip Time Machine series, but this was the trip you most enjoyed. Take another look at the thermal imaging from our Wildlife Detection System cameras on Highway 3. It’s an interesting sneak peek into something we normally don’t get to see but it is cool to see the signs in action. In 2016, we celebrated the 30-year anniversary of the Coquihalla Highway, one of the most ambitious highway projects in our province’s history. We put together a collection of videos, photos, trivia and historical information that you’ve found pretty interesting. She’s 85 metres long. She weighs 109 tonnes. She likes to eat dirt. We’re of course talking about “Alice,” the Evergreen Extension’s Tunnel Boring Machine. The rapid transit line is now open but it’s interesting to look back at how we got here and the engineering feats that made it so. Our highway engineers set speed limits based on IDEAL driving conditions – think bare, dry roads and warm, clear weather. Of course when weather messes with these conditions, you have to adjust your speed. We’ve now installed digital Variable Speed Limit signs as part of a pilot project to help reduce weather-related crashes. Engineering doesn’t happen in a vaccum. There’s a lot of discussion and collaboration in the work they do. In 2014, we worked with Tseycum First Nation on Vancouver Island to prevent a portion of the Patricia Bay beach from eroding and washing out West Saanich Road. Here’s that story. It’s very easy to talk about engineering for us here at the ministry since we have so many stories to tell. We appreciate the fact that you find such value in what we do and how we do it across BC. Thank you. none of the links work? Hmmmm, that’s strange Karl – they work when we click on them. Have you tried a different browser? Google Chrome or Firefox? Well I suppose it is better than nothing that you are upgrading 3.5 km of level and mostly straight highway at the same time as you replace the life expired bridge with rusted through I-beams that was identified as in need of urgent replacement years ago. However that still leaves over 30 km of unimproved, narrow, winding 1960’s two lane between there and Revelstoke. If that stretch doesn’t have the highest accident rate and closure frequency of any major highway in the province (or Canada) it must surely come close. My favourite bit of highway engineering will be the upgrading of the accident and closure prone Trans-Canada west of Revelstoke (which is currently closed and has caused the cancellation of my long awaited appointment with an orthopedic surgeon). Unfortunately I expect to die of old age before this section is upgraded (I am the same age as the highway, both my parents are still alive and I hope to live at least as long as them).